Undoubtedly, your iPhone is an expensive device and keeping it safe should be of utmost importance for obvious reasons. Since you rely on your phone to carry out your daily activities, it is important that you invest a little to safeguard it. Unfortunately, the screen which is integral to the phone is prone to breakage, cracks, and scratches. And it should be the first thing that must be protected because a scratched iPhone screen is not aesthetically pleasing. Moreover, it hurts the reselling value of the device because nobody likes to a buy a damaged phone. 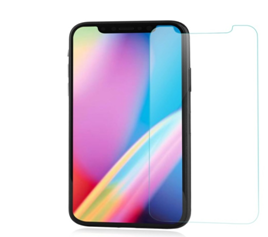 And iphone glass screen protector should be the ideal choice over the plastic ones because plastic and thin films do not safeguard the screen properly. Let’s look at the ways of protecting the screen from getting damaged. The preventive measures might not be the surest methods to avoid accidental damages but issues coming out of carelessness can be prevented by taking precautionary measures. Do not put your phone in your laptop bag where sharp objects like coins and keys could scratch the surface of the screen. Keep the phone away from the water and kids; these two entities can wreak havoc. Do not keep your iPhone in your back pocket while you are in washroom because you might just flip the phone accidentally into the tub. By taking care of your phone, you are likely to avoid major accidental damages that most of the iPhone experience due to mindless usage. 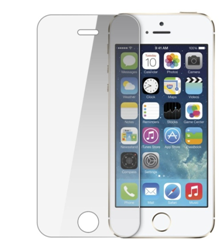 Let’s find the ways of choosing the right iphone 5s glass screen protector. First, you have to find the glass protector that gives edge-to-edge protection. The screen protector must come with the anti-yellowing effect and should get fixed onto the screen easily. It should have proper thickness that does not make your phone look bulky or kill the aesthetics. Out of multiple varieties of glass protectors available in the market, it could be difficult to choose the right kind of glass protector and it can be a long and tiresome quest. And as soon as you look for screen protectors you are confronted with various types of terminologies that go beyond your comprehensions such as tempered glass, military-grade protection, nano-coating, oleo phobic and all the rest of it. Let’s have a look at the each of these specifications. A tempered glass protector is specially designed glass protector that has gone through an extreme heating process and cooled down instantaneously immediately after the heating resulting in a tough and durable glass screen protector. Since this protector is stiff and hard, the installation becomes easier and you can also pull out a tempered glass protector quite easily than replacing the screen itself. Then you have the 9H glass protector. The 9H is the hardness standard based on Mohs test that means the screen protector is tested by running a 9H pencil which is the hardest of all the pencils on the protector to verify its scratch resistance capability. And it is not the best of the tests but it’s fair enough. The military grade screen protector is the most sought after and hyped screen protector but in reality it is simply a marketing gig because it does not safeguard the phone from a hard fall. Most of the people prefer the privacy layer screen protector that prevents the people from peeping into your screen. Of course, this is a beautiful feature because the privacy of the information is important. You also have the glossy and matte display features available in the market and should you ask which one is better? Remember that it completely depends on the personal preferences. Now that you have learned about the benefits and various types of glass screen protectors available in the market, you should be in a better position to get a perfect screen protector. However, it is important that you understand the application and exact utility of the glass screen protector. Never think that the screen protector will save your phone from all sorts of assaults. Let’s face the facts; the screen of your phone is integrated and consolidated onto the body of the phone and if your phone falls and the corner gets hit, then the edge to edge screen protector cannot even stop the damage because the fall has just disturbed the structural integrity of the unit. The screen protectors are generally meant for keeping your phone from everyday scratches by keys or any other sharp objects that come directly in contact with the face of the screen. So, when you shop for apple iphone 5s screen protector, make sure that you find the screen protectors designed for this particular model, never get a screen protector that is not meant for your phone’s model because it won’t just fit onto the screen. Amit Sharma is an all-time professional Writer and very honest sincere and up-front blogger. In general, he tries to blog up-front and honest, without being argumentative or confrontive. He takes care not to offend, but sometimes, he just want to bash intelligence into some brains.